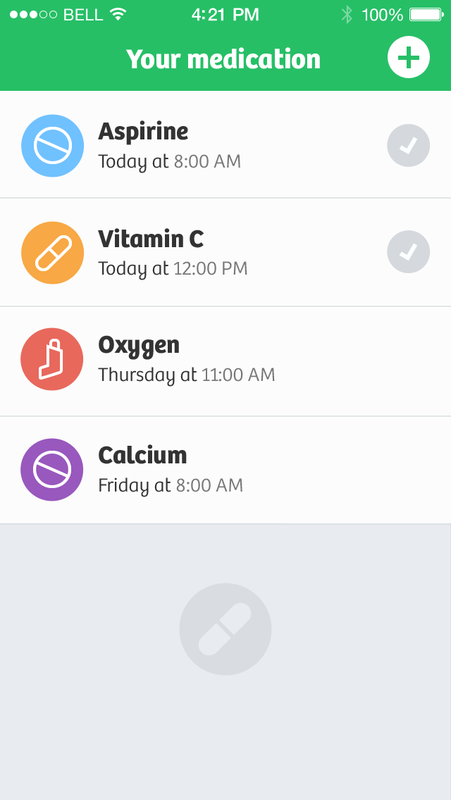 Medicinebox is a simple iPhone application for scheduling of medications. It is a personal project I've been working on together with Pavel Maček. I designed basic interaction flows, collaborated on visual design and developed a landing page. Keeping track of when to take medication is a tedius chore. Usual setting up multiple alarms and figuring out complicated schedules is far from the optimal experience. The need to take medication is a very common one. However, the needs of potential users differ depending on frequency with which they take prescribed medication. We focused on people using Medicinebox several times a year when they are sick or take non-critical medication like vitamins. Therefore, the main workflows are primarily optimized for casual user. Information that person has to fill in are kept too minimum with only name of the medicine and interval being compulsory. To support secondary users – frequent users, it is possible to attach note to every medication with e.g. dosage and instructions. Usual prescription from a doctor states, take medicine X three times a day. Based on this information, ideal schedule is generated without asking person to do the math. This schedule takes into account regular sleeping patterns so there's no sleep time interuption. 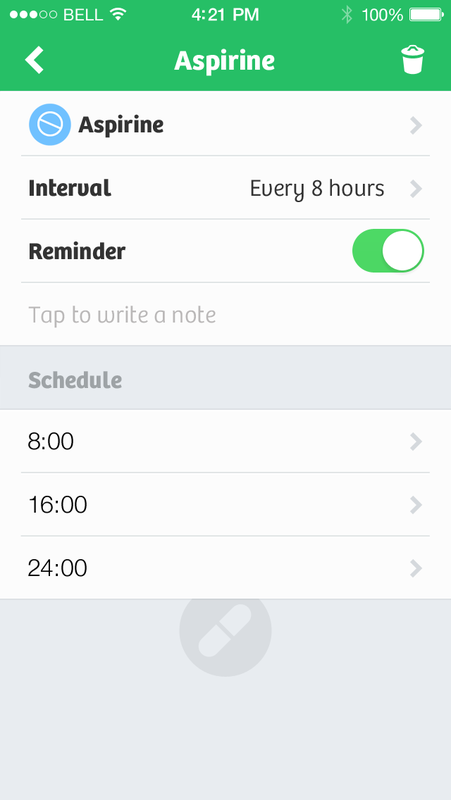 To support uncommon cases, user can set custom dosage times.